Littelfuse, Inc., introduced an expansion of the TPSMB Series of Automotive Transient Voltage Suppression (TVS) Diodes that protect sensitive automotive circuitry from a higher level of voltage transients induced by lightning and other transient voltage events. The latest additions expand the series’ breakdown voltage range from 7.5V to 550V for unidirectional and 10V to 650V for bidirectional devices. 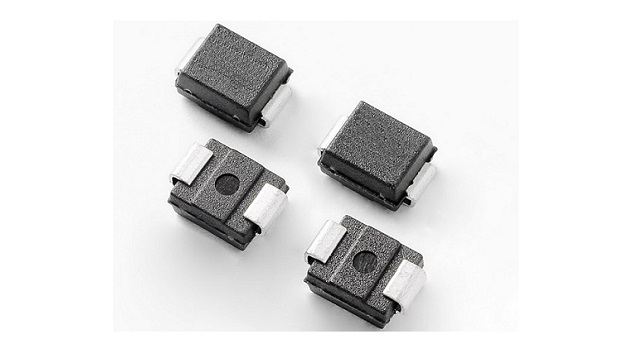 These AEC-Q101 qualified TVS Diodes provide 600W of peak pulse power dissipation in a standard DO-214AA SMB package, one of the most popular form factors for automotive applications. By making it unnecessary to use multiple TVS Diodes in series to provide adequate protection, the expanded TPSMB Series simplifies printed circuit board design and enhances reliability. The series’ 600W peak pulse power dissipation rating is a popular choice for automotive applications. The compact surface-mount package (DO‑214AA SMB) allows for efficient use of board space.